Canon has its next-gen Connect Station on display this week at the Canon Expo 2015 in New York. 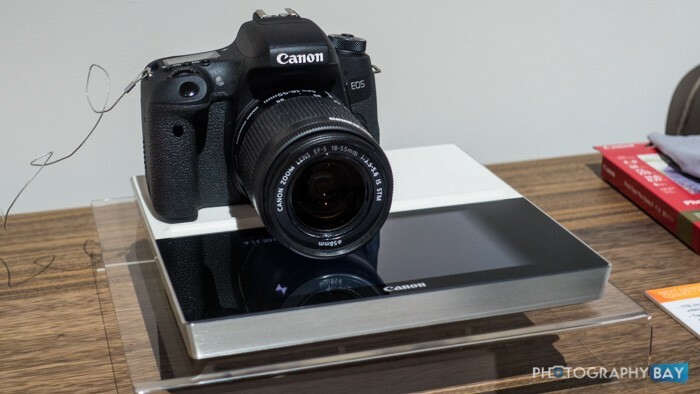 The upcoming model features built-in wireless and NFC connectivity for automatically importing photos and videos from compatible Canon cameras, which is just like the current Connect Station CS100. The biggest new feature on the next-gen devices is wireless charging. 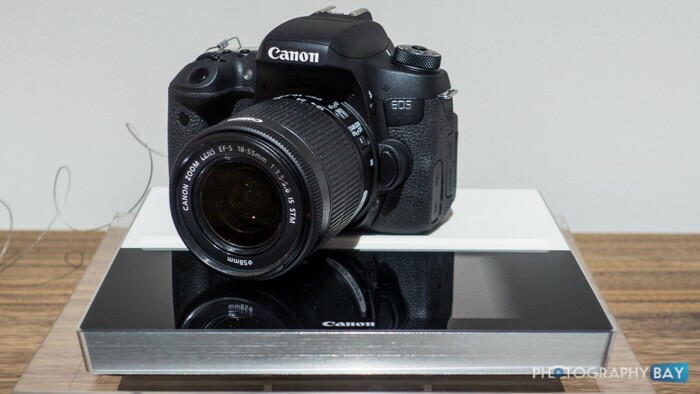 To demo the feature, Canon had a modified Rebel T6s and EOS M3 on hand – both of which had working wireless charging inside. 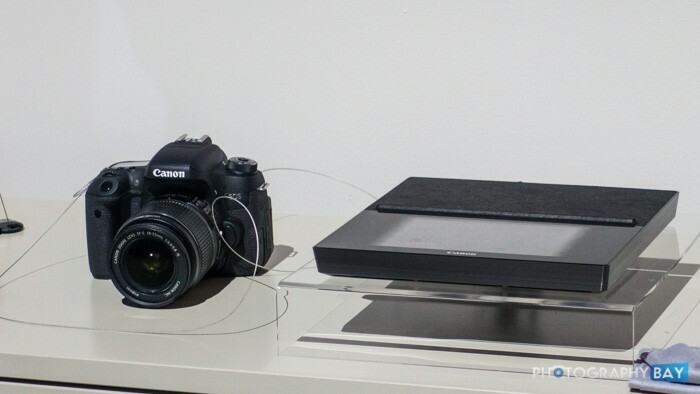 Simply placing the cameras on the Connect Station would start the transfer of new images. After the transfer is complete, the Connect Station starts charging the devices wirelessly, which is indicated by a small lightning bolt in the bottom-left corner of the display. 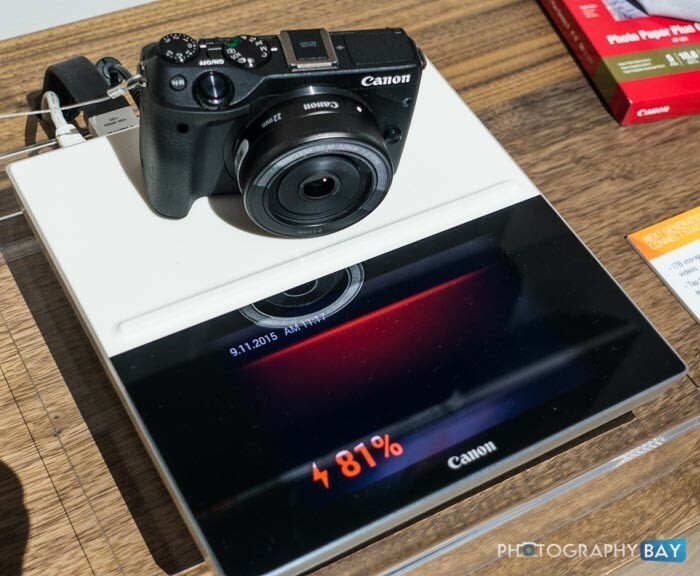 After the camera has been on the device for a few seconds, the Connect Station can give you the battery level for the camera and provides a visual indicator that it is charging as a orange line floats from the bottom of the display toward the camera. It was sort of like it is pushing the juice into the camera. A silver and black model were on display, which are supposed to provide options for your components or TV since this is intended as a living room device. The next-gen Connect Station is equipped with an internal 1TB hard drive and HDMI output for connecting to the TV, which will support 4K playback. It can be controlled from an Android or iOS tablet (and likely smartphone as well). 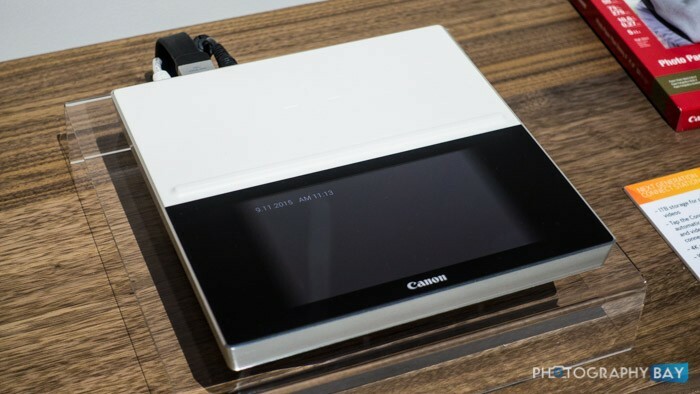 Canon will offer the ability to immediately upload your photos and videos to the cloud in addition to the local storage on the Connect Station. That is a great news for me.